WHAT'S NEW, SHAWN AND GUS? Psych: The Movie | Where the Characters Will Be in 10 Years? When does Juliet say I Cinta anda to Shawn? 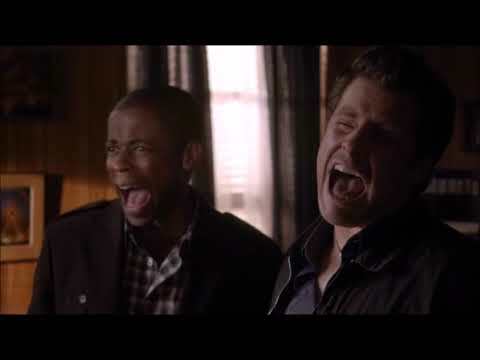 PSYCH HAS BEEN PICKED UP FOR AN 8TH SEASON! pilihan peminat: Yes, can't wait!! Yes, can&# 39; t wait!! What episode does Gus sing Caribbean Queen? who is attractive blonde actress (extra) in almost every episode passing in the background atau in conversation, only speaking part I've seen was in "Shawn (and Gus) of the dead" she comes to Chief's office door and says, "the mayor wants you"..?? SOOOOO Are anda a peminat of delicious flavor? As Psych peminat-peminat might have heard, Maggie Lawson has been tapped to bintang in an ABC comedy pilot. But what does this mean for Psych and/or Juliet? Let’s just say it’s too soon to sweat. “We’re so happy and excited for Maggie having all of these opportunities, and we never want to begrudge somebody who has an opportunity bintang in their own tunjuk — especially in something that’s a big project like this,” executive producer Steve Franks tells me. They are all written sejak American Televisyen producer and writer(and author) William Rabkin. I just realized something. anda know the episode 'A Very Juliet Episode"? The one where Jules sees her college sweetheart Scott? Psych is back with an action packed new episode entitled, “Romeo and Juliet and Juliet”. Shawn and Gus find themselves caught between two rival Chinese Triad gangs as they cari for a powerful businessman’s abducted daughter. Shawn and Gus shine in this episode, Shawn trying to get into a Karate class that is for 8-year-olds was just one of the many hilarious moments. Juliet, still shaken from last seasons ‘Mr. Yin presents…”, is working at city hall, and won’t admit that she is still quite scared, but in the end she saves the day, and Shawn. So I think Shawn and Juliet are just cute together! I'm sure most of anda agree. But! Some think Shawn and Abigail are good together. To tell the truth, I don't think so. anda can tell Juliet likes Shawn, Shawn probably knows it, but for some reason refuses to accept it. Since everyone is so adamant that no one will guess the cliffhanger, I've come up with some crazy theories of my own. Prepare to lolz. Behind the scenes making the motion picture "Gravy," Directed and written sejak James Roday and starring; Michael Weston, Jimmi Simpson, Sutton Foster, Gabourey Sidibe, Sarah Silverman, Molly Ephraim, and Gabriel Luna. a video telah ditambah: WHAT'S NEW, SHAWN AND GUS? a question telah ditambah: What episode does Gus sing Caribbean Queen? an answer was added to this question: who is attractive blonde actress (extra) in almost every episode passing in the background or in conversation, only speaking part I've seen was in "Shawn (and Gus) of the dead" she comes to Chief's office door and says, "the mayor wants you"..?? a question telah ditambah: who is attractive blonde actress (extra) in almost every episode passing in the background or in conversation, only speaking part I've seen was in "Shawn (and Gus) of the dead" she comes to Chief's office door and says, "the mayor wants you"..?? In SIX FEET UNDER THE SEA Shawn wants Gus to photograph him doing what?